Everyone has important things to do that take up a lot of their time, and sometimes it can be easier to let unwanted rubbish pile up rather than find the time to get rid of it all yourself. 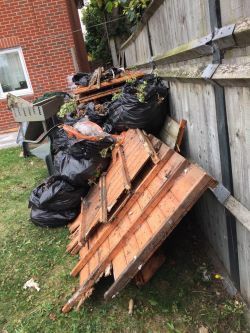 If this sounds familiar, and there’s a sizable pile of junk forming in your front garden, then get in touch with Rubbish Removal Stockwell and let us do the work so you don’t have to. Our professional and experienced team operates throughout Stockwell, and will be able to remove even the most awkward, heavy items of rubbish from your property. Our team will also be happy to answer any questions you may have about our fast and cost-effective services during the course of your rubbish removal in SW8. Call our expert clearance company on 020 3540 7281 today and we will help you to save big. Household junk removal – we’ll remove old furniture, full bin bags, and unwanted pieces like carpets and fixtures. Garden waste removal – we’ll remove piles of leaves, hedges, and fallen trees in whole or part. Construction material – we’ll remove wood, timber, rubble, bricks and metal profiles of all kinds. Old furniture – we’ll remove any form of old, unwanted furniture, including chairs, tables, sofas, and wardrobes. Appliances – we’ll remove any broken fridges, freezers, microwaves, ovens, and heaters. Electronics – we’ll remove any non-functioning or unwanted computers, monitors, laptops, TVs and printers. Bathroom materials – we’ll remove unwanted baths, toilet seats, tiles and sinks. If you don’t see the type of domestic clearance service you require listed above, don’t hesitate to call us on 020 3540 7281. We’ll be happy to take you through the details of our Stockwell waste removal services in SW9 with no obligation required. We consider ourselves a first-rate clearance company, and we don’t throw that phrase around lightly! In our time in the industry, we’ve removed innumerable tons of rubbish from people’s homes, and got their domestic lives promptly back on track. There are many reasons why we present ourselves as the number one choice for rubbish removal in SW8 and SW9. For starters, you can get hold of us at any time, with a functional and professional customer support division that’s available seven days a week. When organising your clearance service, we keep your convenience in mind and let you choose a specific time window when you’d like us to come. Once that’s out of the way, you can count on our experienced drivers to find your house quickly and easily, as they are all locals and have access to good navigation. If you could like to know anything further about the benefits of our SW8 waste removal service, feel free to call us on 020 3540 7281. Our friendly staff have all gone through extensive training programs to make them the very best at what they do. They are guaranteed to remove your rubbish in an efficient and prompt manner, without intruding on your home life any more than is necessary. Another element to our bespoke rubbish removal service SW8 is the reliability of our vehicles. All of our heavy-duty trucks are modified for the safe and sanitary removal of any kind of waste, and undergo regular, thorough maintenance. 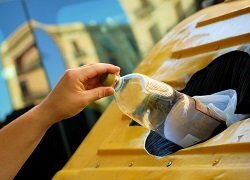 At Rubbish Removal Stockwell, we understand that many people in Stockwell want to be as eco-friendly as possible in anything they do, and we implement a solid recycling policy. With every job we take, we’re committed to recycling as much waste as possible, and minimising energy waste to conserve our planet’s natural resources. If you’d like to know more about our recycling policy, call our rubbish clearance company in Stockwell on 020 3540 7281 now. Description: Trust our experienced rubbish collectors operating throughout Stockwell, SW8 and get the best results at the best prices. Free consultation on 020 3540 7281!